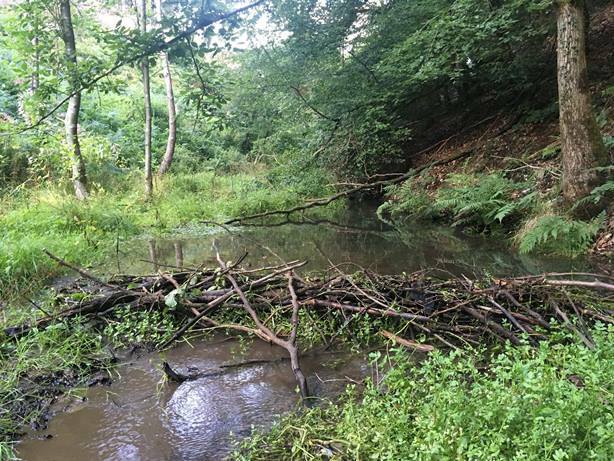 The beavers have been in Greathough Brook for about six weeks now and they have been really busy. 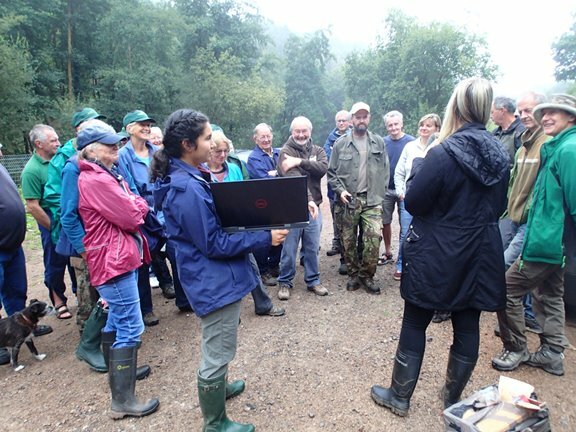 This was our first day out with the Dean Green Team for the autumn schedule and we had a talk from the ecological group who are monitoring the change in the habitat which the beavers will create. 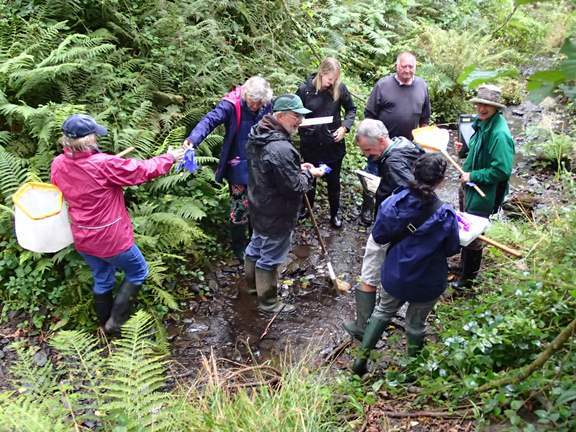 A group of us went down to the stream with nets to collect the invertebrates in the water for monitoring purposes. The rest of the team went round all the fencing to nail on numbered tags to the posts which had straining bars attached and to GPS their positions. This is for useful map monitoring. We have a beaver patrol rota consisting of local interested people and the Dean Green Team so that the fencing around the site is checked twice a day. This is a 2 kilometre walk all the way round and we check all the fencing and gates. There are about 12 wildlife cameras set up in the woods to watch the beaver activity. The first dam was quickly built by the beavers and the water is rising above it. We know that the beavers are now building a second dam further upstream. It is rare to see them in daylight although splashing can sometimes be heard. These ecologist explained their work to us as they monitor all the beaver sites in the country. They are expecting the biomass of organic material made from plants and animals to greatly increase in the stream. In particular, the local bat population will heighten as more invertebrates populate the ponds formed. The team are preparing to sift out the invertebrates in the stream which leads down to the first dam.